Register as soon as possible to hold your spot. 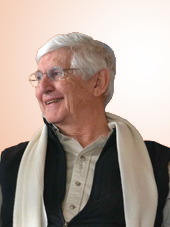 Dr. Robert Waterman has been a spiritual teacher for over 45 years, teaching classes in the United States, Canada, France, Germany and Switzerland. He is a licensed mental health counselor in New Mexico, a minister and founder and president emeritus of Southwestern College (a spiritually oriented graduate school for Counselors and Art Therapists) . He has a doctorate in Education and Counseling, and a Masters in Sociology. He is author of three books: Eyes Made of Soul: Theory and Practice of Noetic Balancing; Footprints of Eternity: Ancient Mysteries Applied to Modern therapy; Mandala of the Soul: A Spiritual Approach to the Art of Archetypal Psychology. The essence of human existence is that the all present love that we call God, the unconditional love that allows infinite creation, lives through us as a personal experience. We call it “living love”. When our fear turns the experience into conditional love, we experience judgement, hate, violence, control. It is still living love, only reversed. Our choice. We live now when an eternity of reversals cycle back at once. As we emerge from a cycle of separation, fear as the basis of choice will subside as we center in truth, living love. The more we hold on to what is familiar, the more fear clings to power. We live in a time of great opportunity in which the specter of life will reflect us into the core of our loving, if we let it and if we choose it. We will explore and practice the ways of love and the means of the power of love. Take advantage of this important opportunity. Space will be limited. Deposit due by November 1, 2017.